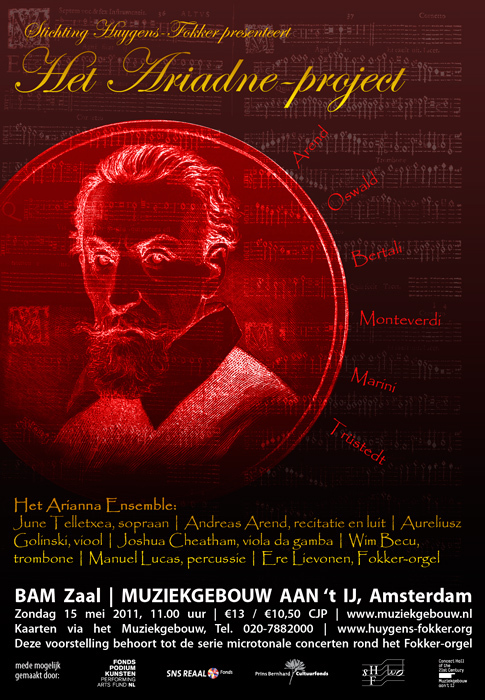 Een bijzonder cross-over concert met muziek van Claudio Monteverdi en tijdgenoten, alsook een korte 31-toons kameropera van de jonge Berlijnse componist en luitist Andreas Arend op basis van Monteverdi's solo aria Lamento d'Arianna, het enige overgebleven deel uit zijn opera L'Arianna dat helaas verloren is gegaan. 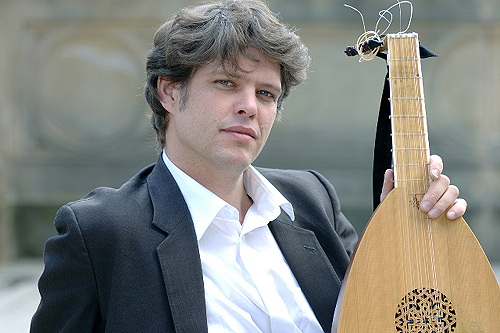 Op het programma staan composities van Biagio Marini, Andreas Oswald, Claudio Monteverdi en anderen. Zij hielden zich deels bezig met bijzondere theorieën over muziek, zoals chromatiek, thematische coherentie en stemmingen, dat in die tijd leidde tot nieuwe doch aansprekende muziek. Lees hier meer over het programma (in het Engels). Andreas Arend (*1973) - Kanon "Der Wind"
At the end of the time of the roman republic, the latin poet Catullus published his only book. It contains an epos en miniature, which tells among others the legend of Ariadne. In 1608, Claudio Monteverdi´s Lamento d´Arianna was first performed. It formed part of an opera that is now lost. The lamento´s text appears similar to the corresponding place in Catullus´ poem. The Ariadne-project connects these elements to a new theatre-in-music, in which the Lamento d´Arianna (Lament of Ariadne) is framed on the base of the epos en miniature. The new music for this was composed within the tuning-system of 31 equal steps per octave. As a prologue to this work, we play music by composers of Monteverdi´s stylistic school, and own songs, that prepare to the following action. Antonio Bertali was Maestro di Capella at the emperor´s court in Vianna. His Ciaconna resembles partly a circle-composition. This, in the 17th century, was a piece consisting of cadences to round the circle of tonality. It was used to proove the quality of tuning systems, such as the one by Vincentino (31 equal steps per octave, this is what we use) or by Salinas (19 equal steps per octave). Andreas Oswald was the organist at the court in Weimar. He died young. His compositions show originality and inventivness. Biagio Marini was one of the first known virtuosos. The corrente we play comes from his op. 8, "con curiose e modere inventioni". Theseus, attic hero, sails to Crete, to the court of king Minos, to kill the minotaur. Ariadne, daughter of the king falls in love with him. She helps him, among others with the thread, that helps Theseus to find his way out of the labyrinth. Theseus promises to marry her. They travel to Athens. They take a rest on the isle of Naxos, where they spend also the night. When Ariadne wakes up the next morning she finds herself alone. Theseus and his men traveled on. He forgot her. Ariadne tries to get hold on Theseus, which is already sailing away. She asks him to come back, asks for pity, gets furious, puts a spell on him, regrets the spell - no answer. She prepares for her death. Bacchus, the god, visits Naxos accompagnied by Menads and Satyrs. He and Ariadne come together, and they marry.